Revive dull, dry skin with Erno Laszlo Hydraphel Skin Supplement, a hydrating toner that helps to calm and support skin while deeply moisturizing. Free from alcohol, the silky solution sweeps effortlessly across the face, dissolving flakes and aging skin cells that can cause unwanted dullness. Enriched with a host of beneficial, nutrient-rich ingredients sourced from nature, it combines antioxidant Provitamin B5 with Comfrey Root and Glycerin to soothe sensitive skin while attracting and locking in moisture to promote a radiant glow. After use, skin feels refreshed, revived and comforted. Free from phthalates, petrolatum, sulfates and mineral oil. Immediately after cleansing, sweep over skin with a cotton pad or apply directly with your hands by patting in the liquid—just be sure to avoid the eye area. Use day and night as part of your bespoke Double Cleansing Ritual. Follow with treatments and moisturizers to match your skin’s needs. Water (Aqua/Eau), Glycereth-26, Glycereth-7, Panthenol, Sodium PCA , Allantoin, Polyacrylamide, Parfum (Fragrance), Propylene Glycol, Diazolidinyl Urea, Methylparaben, Disodium EDTA, Citral, Geraniol, Citronellol, Linalool, CI 19140 (Yellow 5), CI 15985 (Yellow 6), CI 61570 (Green 5). I have been using products from La Mer for at least 3 years, and recently been introduced Erno Laszlo by my friend, I first tried the masks and I was delighted so I decided to give its daily routine a go. As I have a sensitive combination skin, I found this Skin Supplement lighter than the treatment lotion from La Mer, and skin felt every soft after every use. Also I do not recommend use La Mer treatment lotion under make up, as the formula of the lotion somehow has effect of flaking off every foundation I have, so I thought I would have a try of this Skin Supplement, and surprisingly with the same texture as La Mer treatment lotion, it sits perfectly under make up. Considering the price is actually 1/2 of La Mer treatment lotion, I would highly recommend you to try it. This is a serum/toner in a way that it is quite a bit thicker than just watery product, it moisturizes effectively for my oily skin, and it's not too much or sticky at all. 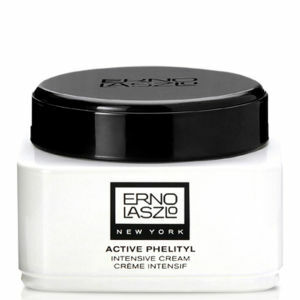 I top it with phelityl cream which works well for me during night. For day time, I use the oil control lotion first then followed by this and a sun lotion. This is a product that would work well for all skin types. Can't say enough good things about it!